This is a simple countdown calendar that you can fill in yourself for two weeks. 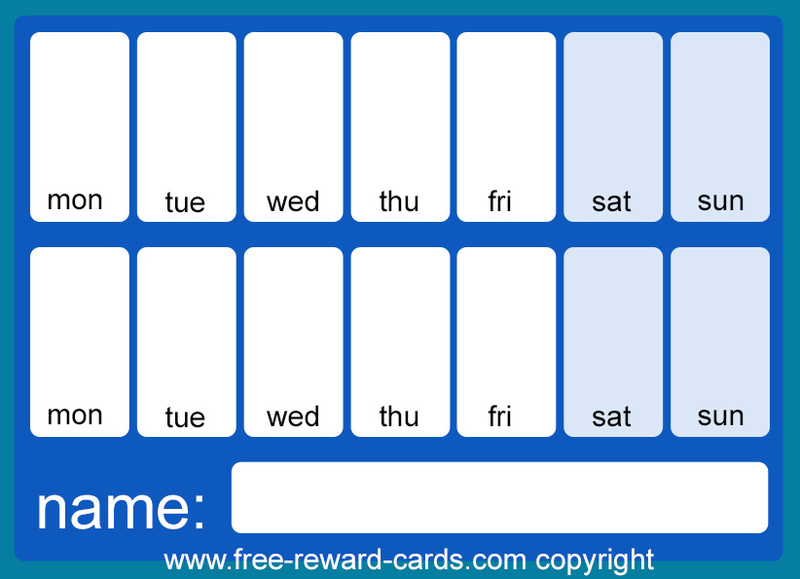 Free printable via www.free-reward-cards.com At request of a family house, where they use such a plasticized countdown calendar for each child. You can write on it with a whiteboard pen or stick stickers and adjust the countdown calender every time again. For example, you can work or look forward to something for two weeks, such as a day out or a visit. This gives children a lot of structure and clarity. They are available in various colors on this website so you can print one calender in a favourite color for each child.